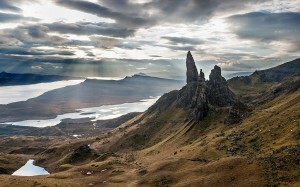 The Isle of Skye is one of those must see places of the world. It is consistently within the top 10 Best UK Island destinations (2014 Travellers Choice Trip Advisor and Best Rated Islands – National Geographic) and it’s easy to see why. 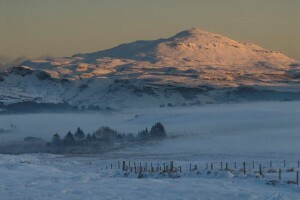 The island offers stunning natural scenery including native woodlands in the south; the imposing Red and Black Cuillins with their Munro peaks in the islands centre, coastal cliffs of Moonen Bay and Neist Point in the West and the jagged Trotternish Ridge in the north. Here you can enjoy waterfalls and coral beaches, moorland and rivers, catch the Northern Lights and appreciate the changing seasons. The area offers an unspoiled natural habitat for some amazing wildlife too – majestic buzzards and eagles, playful otters, seals and dolphins. 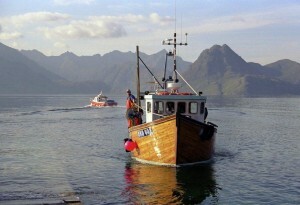 Many visitors come to Skye to actively enjoy the outdoors – mountain climbing or cycling, kayaking or fishing. But you don’t have to exert yourself too much if you don’t want to – a gentle walk, a short bike ride or a boat trip can be just as rewarding. As well as the spectacular natural attractions, the island offers something for everyone – from heritage to outdoor sports, boat trips to culture. Explore the historic MacLeod stronghold of Dunvegan Castle, enjoy a wee dram on a whisky tour at the Talisker distillery or discover clan heritage at the Clan Donald visitor centre in Armadale. Stop off at one of the area’s gallery/ tea-rooms and discover the work of artists and crafts people inspired by the island’s landscape, myths and legends. Sample traditional home-baking, enjoy traditional music in one of the hotel bars or discover the area’s Gaelic culture and history at the Museum of Island Life in Kilmuir. Get off the beaten track if you can – the Isle of Skye is yours to explore and Drumuie Cottage is the perfect base for your stay.